There wasn’t just the bonfire, there was the chill-out tent and a massive stack of speakers in the barn. And there was the marquee, where those of us of slightly more mature years ate and drank more than our share, and commented that every track the speakers blared out sounded exactly the same….and did not act our age, though contrived to act a little older than our shoe sizes. It was a good do, Moorlynch style. And a 20 yard walk home. 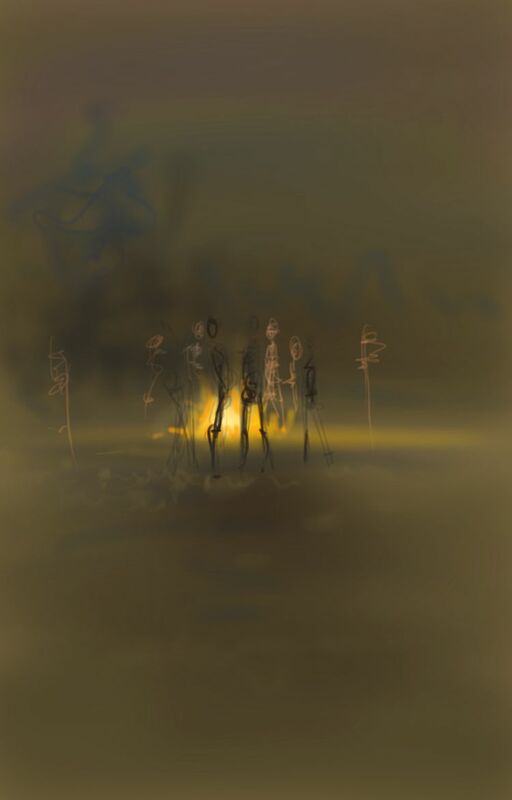 This entry was posted in Events, People and tagged art, bonfire, digital painting, drawing, illustration, Moorlinch, Moorlynch, party, phone sketch, somerset on May 3, 2015 by Nancy Farmer. 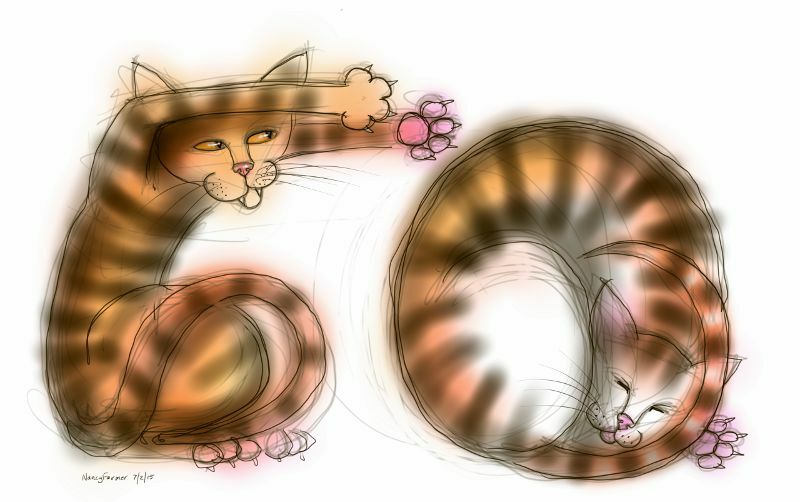 This entry was posted in Cats, Fantasy and tagged art, birthday, cartoon, cat drawing, digital sketch, drawing, illustration, phone sketch, sketch, spelling animals on February 8, 2015 by Nancy Farmer. Sorry about the lack of cats, and indeed any art at all on this blog lately, the cats have temporarily taken up residence on my other blog: http://nancyfarmer.wordpress.com/ where they are being the inspiration for a series of mezzotint prints. 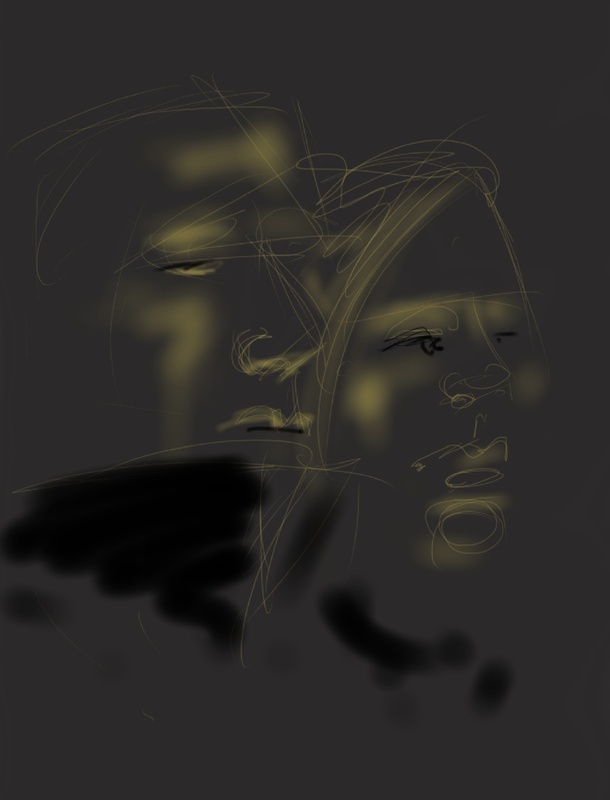 (Try this search if you cannot find them straight away: http://nancyfarmer.wordpress.com/?s=cat+mezzotint). 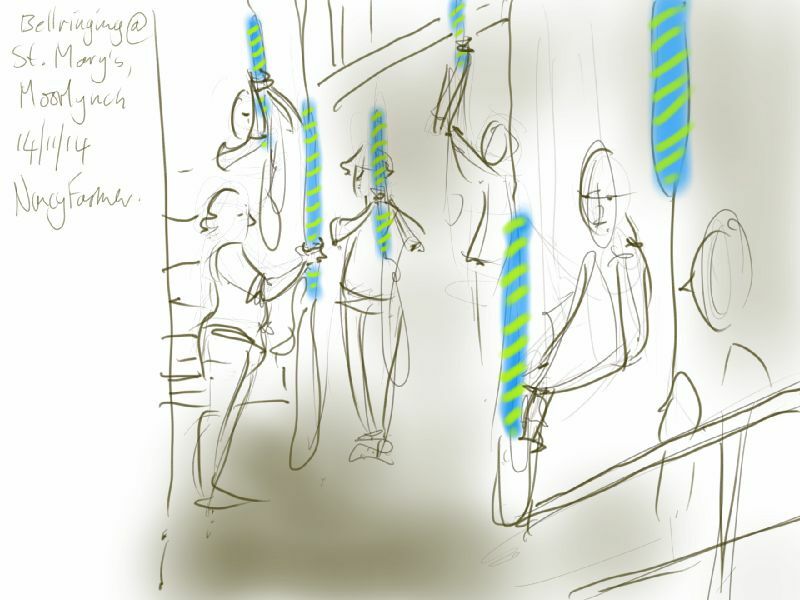 In the meantime I thought I really must fit in a quick sketch, so here are the bell ringers on an unusually busy Friday night practice. 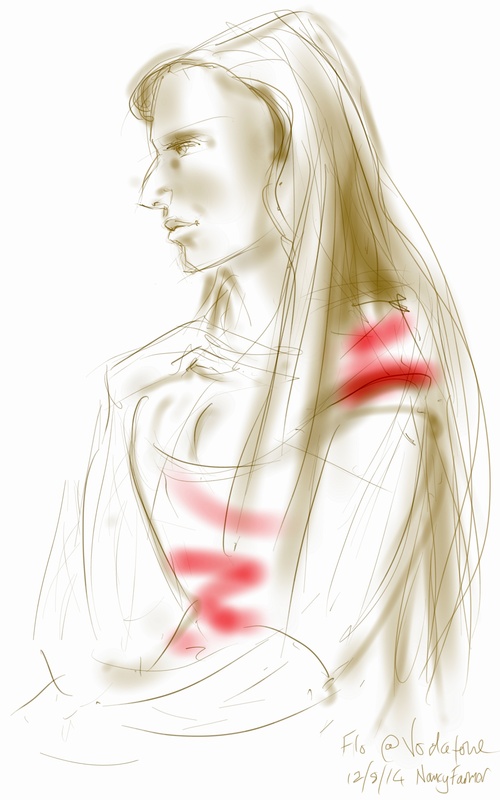 Bell ringers move constantly, though they repeat the same set of movements so it should be possible to capture them in a sketch, however the tower is seldom so busy that I am allowed to sit out and draw anyone. I ring the bells too, somewhat reluctantly and not very well, and so this was a rare few minutes opportunity. 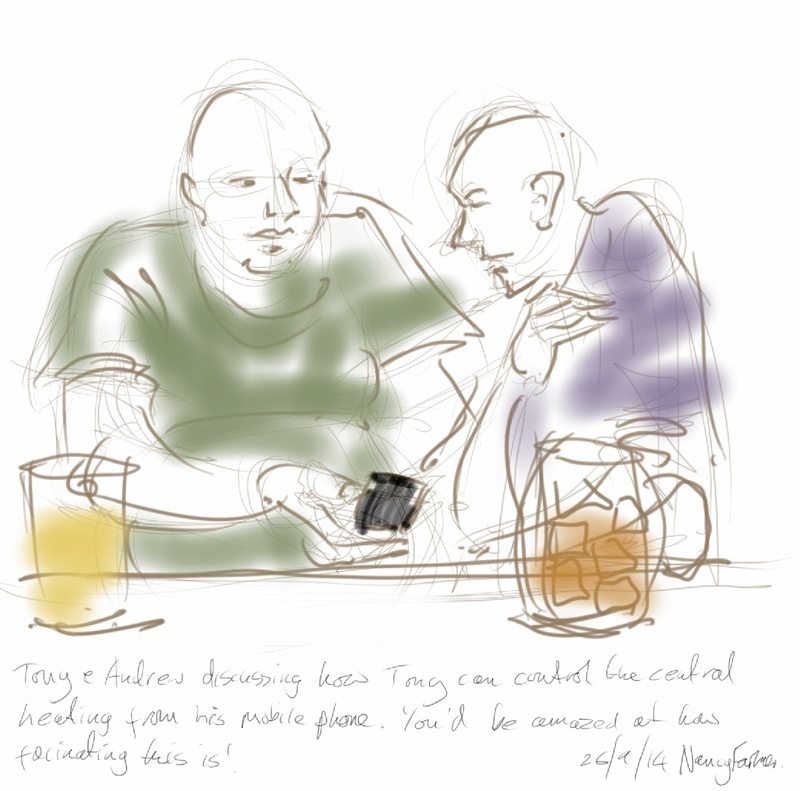 This entry was posted in Events, People and tagged art, bell ringing, bellringers, drawing, illustration, life drawing, people, phone sketch, pub sketch on November 15, 2014 by Nancy Farmer. It is day one of my Somerset Arts Weeks exhibition, and Percy has come into the studio in the middle of the afternoon, to complain that he is so hungry he may literally have to eat his own feet in desperation. I feel this is an exaggeration since he has at the very least had breakfast, second breakfast, elevenses and then paraded in front of the exhibition visitors with a rat in his mouth. It was quite a small rat, admittedly, but quite big enough for afternoon tea. 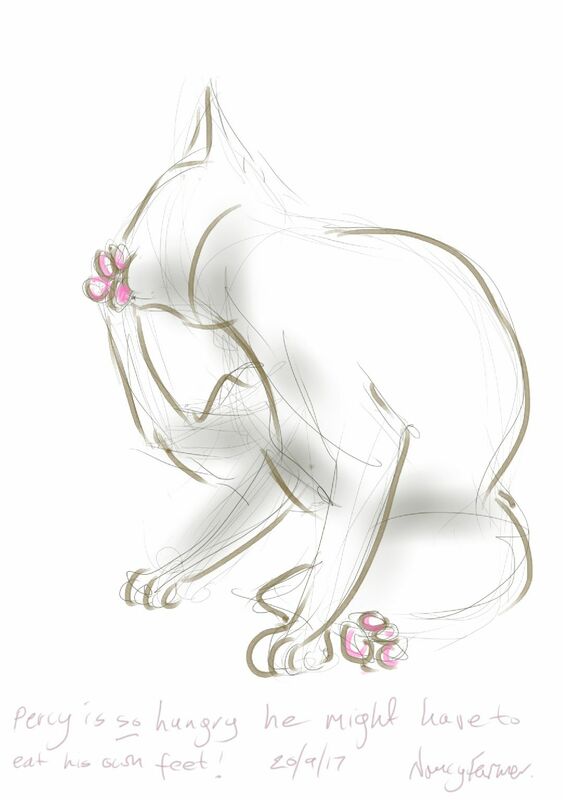 This entry was posted in Cats and tagged art, cat drawing, cat washing, cat-of-the-day, digital sketch, drawing, illustration, Percy Cat, phone sketch, tablet sketch on September 20, 2014 by Nancy Farmer. 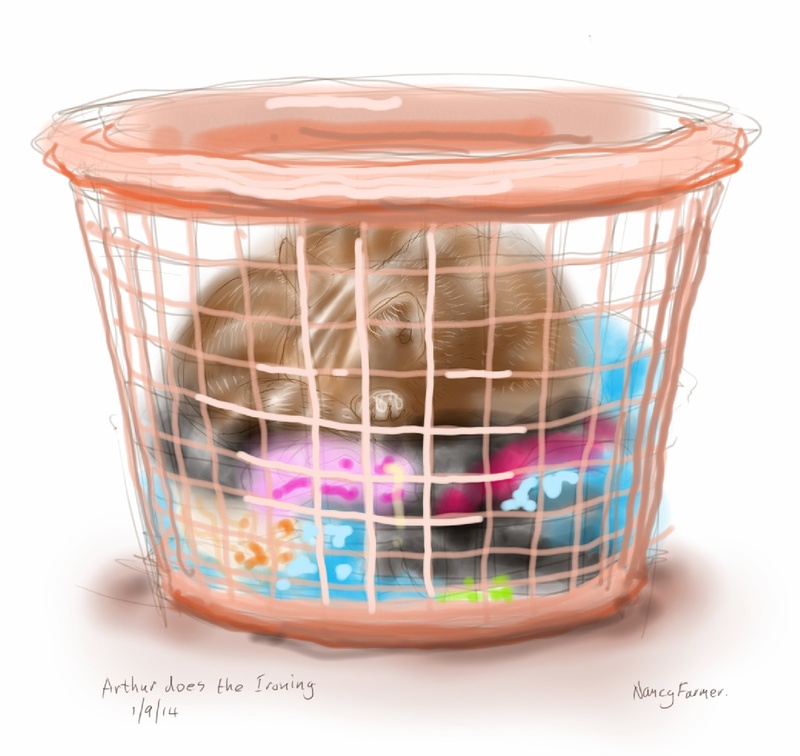 Arthur has been doing the ironing. Ironing involves squashing fresh laundry flat with a warm object, therefore Arthur is ironing. 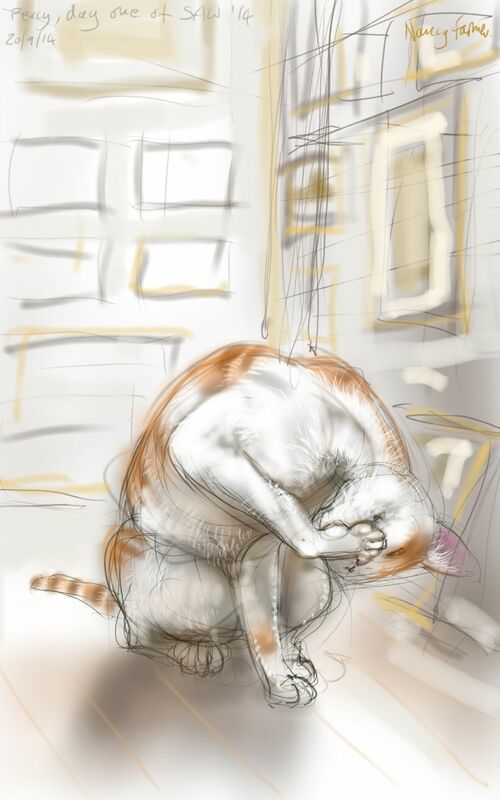 This entry was posted in Cats and tagged art, arthur cat, cat drawing, cat sleeping, cat-of-the-day, digital painting, digital sketch, drawing, ginger cat, phone sketch on September 2, 2014 by Nancy Farmer.